HF Bloggers~ Day 4~ Another Giveaway "A Separate Country"! 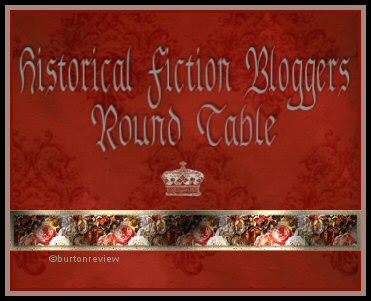 Welcome to Day Four of The Historical Fiction Bloggers Round Table Event! The Royal Heiress of the day is finally Ms. Lucy from Enchanted by Josephine, and you can finder an interview of Lucy at Passages to The Past and a guest post by Lucy about a Josephine you probably never heard of! Please be sure to hop over there and say hello to Lucy on Amy's blog. This a beautiful hardcover edition, the picture does not do it justice! "Set in New Orleans in the years after the Civil War, A Separate Country is based on the incredible life of John Bell Hood, arguably one of the most controversial generals of the Confederate Army--and one of its most tragic figures. Robert E. Lee promoted him to major general after the Battle of Antietam. But the Civil War would mark him forever. At Gettysburg, he lost the use of his left arm. At the Battle of Chickamauga, his right leg was amputated. Starting fresh after the war, he married Anna Marie Hennen and fathered 11 children with her, including three sets of twins." 1. Since this is Book Blogger Appreciation Week, you must Follow this Blog, be a Book Blogger & Reviewer, (*not required to review any of these giveaways!) and comment with your Blog URL AND Email Address with a comment other than Enter Me. Entries must be received by midnight September 24th, the one winner will be announced and emailed the next day and you have two days to respond. Thanks for entering, thanks to Hachette books for this giveaway, and good luck!